I’ve managed to build a career writing online, and I’ve done so using Linux. Early on I had to keep a Windows computer around to use specific software, but that’s a demand that only one client has demanded. Everywhere else has allowed me to make my living from a Linux-powered laptop. You, too, can use Linux to manage your professional life. Actually, I highly recommend it! The sheer amount of free and open source software is bound to save you money. Many of these apps haven’t changed much in the past decade, even as they’ve gained new features. That makes them dependable, predictable, and ideal for getting the job done. There are more advantages that I’ll share as we go along. Let’s get to work. There isn’t one version of Linux that everyone uses. Many communities have accumulated and packaged open source software in different ways. We call these Linux operating systems “distributions” (or “distros” for short). These distros are largely the same underneath, but they offer diverse ways of interacting with the same Linux operating system Distro Indecision: A Cheat's Guide to Choosing a Linux Distribution Distro Indecision: A Cheat's Guide to Choosing a Linux Distribution This guide is all about how to pick the right distribution, and how to test them before you actually commit to using it, arguably one of the most difficult steps in getting into Linux. Read More . Some distros are more stable and consistent than others. Since you’re using Linux to make a living, these traits matter. Getting the latest updates daily through a distro using a rolling release model What Is a Linux Rolling Release, and Do You Want It? What Is a Linux Rolling Release, and Do You Want It? Learn more about why certain Linux distributions have a "rolling release" schedule and what that means for you. Read More is fun, but you run a higher risk of starting your workday fixing a bug that popped up overnight. I recommend picking a distro with a consistent release schedule and a large community. This way you know when major updates are coming, and there are more users to test and spot the issues that may arise. I’m a big fan of Fedora, a reliable distro that offers the latest in free and open source software 5 Reasons to Use Pure Open Source Distro, Fedora 5 Reasons to Use Pure Open Source Distro, Fedora Fedora isn't as well known as Ubuntu, and has a reputation for being hard to use. But if this is true, why do so many people continue using Fedora? Read More . Ubuntu is a relatively well-known option that makes it easier to install the kind of commercial applications you may need for your job 8 Things That Keep You Coming Back to Ubuntu 8 Things That Keep You Coming Back to Ubuntu There is so much going on in the Linux world, from new features in GNOME Shell to the release of Plasma 5, and the amazing Elementary OS, so why do you stick with Ubuntu? Read More , but newer releases haven’t received quite as much investment as in the past. openSUSE is another solid choice that could be said to offer the best of both worlds 6 Reasons You Should Choose openSUSE and the Geeko 6 Reasons You Should Choose openSUSE and the Geeko There are good reasons openSUSE continues to attract users, and here are some of them. Maybe you will be the next person to fall in love with the Geeko. Read More . Many distros come with enough software to cover most of your basics. The default browser is likely Firefox, and there’s a good chance you already have LibreOffice pre-installed. This is one of the best office suites out there Is LibreOffice Worthy of the Office Crown? Is LibreOffice Worthy of the Office Crown? LibreOffice is the king of free office suites. It's unlikely to replace Microsoft Office in a business environment, but it's an excellent alternative for casual users. Here's what's new in LibreOffice 5.1. Read More , even on Windows and macOS. For other professional tools, you will eventually need to turn to your distro’s package manager. Think of a package manager as an app store for your desktop Linux App Stores Compared: Which One Is Right for You? Linux App Stores Compared: Which One Is Right for You? Windows users are being guided to an app store. macOS has had one for a while. Linux, meanwhile, has had an app store-style experience for years. But which one is right for you? Read More . These contain the many thousands of programs that you can install on your computer over the internet. With very few exceptions, all of this software is free (in both senses of the word Open Source vs. Free Software: What's the Difference and Why Does It Matter? Open Source vs. Free Software: What's the Difference and Why Does It Matter? Many assume "open source" and "free software" mean the same thing but that's not true. It's in your best interest to know what the differences are. Read More ). There are many different package managers, with GNOME Software being particularly common and welcoming to newcomers. Regardless of which one you use, the general process is the same. You can browse software by category or try searching for the specific type that you want. Most of the programs on Windows and Mac aren’t available for Linux, but there is usually a free alternative. With so many options to choose from, it can be daunting to know what’s out there, and not everything is of excellent quality. 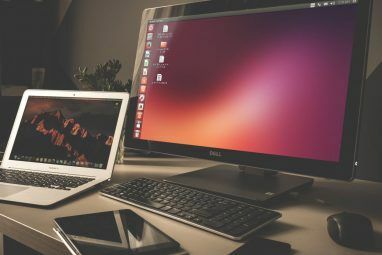 Here’s a list to get you started The Best Linux Software and Apps The Best Linux Software and Apps Whether you're new to Linux or you're a seasoned user, here are the best Linux software and apps you should be using today. Read More . LibreOffice is plenty capable of creating invoices. The hard part is knowing what to include or how to format. Fortunately you can find templates online 10 Simple Invoice Templates Every Freelancer Should Use 10 Simple Invoice Templates Every Freelancer Should Use Invoices can be a nuisance, but they don't have to be. Here are some of the best invoice templates you can download. Read More . There are also plenty of tools online that can help you, some of which don’t even require an account No Sign-up Required -- Create Free Invoices Quickly No Sign-up Required -- Create Free Invoices Quickly There are some great free invoice managers on the web. But the keywords you want are free and quick. These 4 highly-recommended invoice websites let you do both. Read More . If you’re often away from your computer, this is a task you can punt to your phone How Apps Can Help Any Freelancer or Small Business Owner Be Productive How Apps Can Help Any Freelancer or Small Business Owner Be Productive There are so many app for Android and iOS that can improve your productivity as a freelancer or small business owner; let's find the best of them. Read More . Getting paid is one thing. Tracking that money is another. If for no reason other than filing taxes, you’re going to want to know what’s flowing in and out. Linux has quite a few accounting apps 3 Ways to Manage Your Finances Using Linux 3 Ways to Manage Your Finances Using Linux Quicken won't work on Linux, but you have several options open to you for spreadsheet and accounting app alternatives. Here's how you can use Linux to stay on top of your finances. Read More that run on your computer, no internet required. These give you the tools to track and categorize every dollar related to your professional life. Most provide the option to export your data. Alternatively, you can still use whatever online service you like 5 Worthy Cloud-Based Accounting Apps for Your Small Business 5 Worthy Cloud-Based Accounting Apps for Your Small Business In an industry that has traditionally been dominated by expensive and resource-hungry desktop programs there are now an ever increasing number of lightweight yet powerful cloud-based apps. We pick five worthies. Read More . These offer plenty of features related to running a small business, such as payroll. I personally use a spreadsheet 15 Excel Spreadsheet Templates for Managing Your Finances 15 Excel Spreadsheet Templates for Managing Your Finances Always keep track of your financial health. These free Excel spreadsheet templates are the tools you need to manage your money. Read More . As a writer, I don’t need to keep up with all that much. Installing Linux is a great way to breathe life into an old PC Why Upgrading from Windows XP to Linux is Easier than You Think Why Upgrading from Windows XP to Linux is Easier than You Think An ideal way to give Linux a try if you're completely new to it and unwilling to invest in new hardware, is to test it out using some PCs. But how easy is it? Read More . So once you make the switch, you can expect your computers to remain usable for much longer. That’s great for your budget, but it’s also good for your workflow. Once you get used to Linux, you typically don’t have to deal with major interface changes. Occasionally one of the more popular desktop environments will undergo a massive redesign GNOME 3 Beta - Welcome To Your New Linux Desktop GNOME 3 Beta - Welcome To Your New Linux Desktop Read More , but those incidents are rare, and you usually have the option to switch to something that feels more familiar A Review of MATE: Is It a True GNOME 2 Replica for Linux? A Review of MATE: Is It a True GNOME 2 Replica for Linux? The world of Linux desktop environments has dramatically changed since then. Gnome 3 was born, Gnome 2 was essentially thrown to the side, Gnome 3 was forked to create Cinnamon, and so on. However, Gnome... Read More if you don’t want to adjust. The same is true of apps. I first started using the GIMP image editor GIMP vs Photoshop: Which One Is Right for You? GIMP vs Photoshop: Which One Is Right for You? Photoshop is the most popular image editing app out there and GIMP is the best free alternative to it. Which should you use? Read More over a dozen years ago, and the interface remains largely the same. Once you establish your workflow, you won’t have to encounter the kind of routine ground-shaking changes that a new version of Windows or Microsoft Office provide. If you’re buying a new machine, I recommend getting one that comes with Linux. This will save you the effort of installing Linux on your own How to Choose the Best Laptop to Install Linux How to Choose the Best Laptop to Install Linux It's never been harder to install Linux on a laptop. No longer a matter of downloading, burning, and hoping for a compatible WiFi card, these laptops, new and old, are your best option. Read More , and you know all of the hardware will work. Companies that sell Linux pre-installed, such as System76 or ZaReason, will send you a fully functional machine. Computers that come with Windows might have a graphics card or Wi-Fi chip that isn’t yet compatible. That’s assuming you’re able to install Linux at all. Occasionally a client may require that you use software that’s only available on Windows or Mac. In my case, Windows Live Writer was the only accepted way of submitting content. My wife’s laptop ran Windows, so I used that and stuck to my Linux laptop for everything else. That client eventually removed that requirement, and I haven’t had to use Windows since. You don’t have to keep around two laptops to be prepared. 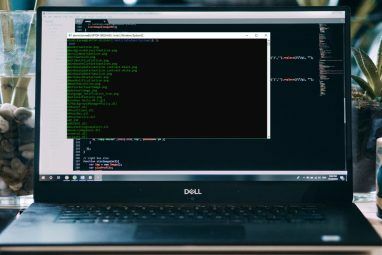 You can run Windows inside of a virtual machine How to Set Up a Windows Virtual Machine in Linux How to Set Up a Windows Virtual Machine in Linux Many home users prefer to run a dual-boot setup when both Windows and Linux are needed, but if you'd rather run Windows inside Linux, here's how to set that up. Read More . 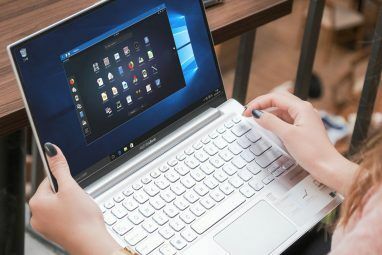 Alternatively, you can dual-boot Linux and Windows or even macOS on the same machine How to Dual-Boot Windows & Linux OSes on Your Computer How to Dual-Boot Windows & Linux OSes on Your Computer It's like having two computers in one - start your system up and choose between Windows and Linux. It's called dual-booting, and it gives you access to two of the best operating systems on the... Read More . Neither approach is as complicated as it sounds. You might even be able to run the Windows app you need directly in Linux using Wine How to Run Windows Apps & Games with Linux Wine How to Run Windows Apps & Games with Linux Wine Is there any way to get Windows software working on Linux? One answer is to use Wine, but while it can be very useful, it probably should only be your last resort. Here's why. Read More , but I haven’t had much luck going that route. Your mileage may vary. Can Everyone Do Their Job With Linux? No. If your job requires you to use a specific Windows-only app for nearly all of your work, you might as well use Windows. But if you’re a writer, a photographer, or a video editor who is able to choose your own tools, then Linux provides you with plenty of choices 6 Linux Distros Designed for Artists, Musicians and Editors 6 Linux Distros Designed for Artists, Musicians and Editors Read More . And if you only need a computer to manage the financial side of your work, then yes, using Linux just makes plain financial sense! Are you ready to make the switch, but you’re intimidated by the logistics? Don’t be afraid. Here’s what you need to know to make the transition Everything You Need to Migrate Your Home Office to Linux Everything You Need to Migrate Your Home Office to Linux It's for this reason why many users are looking to make the switch to Linux. If you're one of them, you're going to want to read on. We're going to talk about how to move... Read More . I’ve been using free and open source software for so long that I don’t feel comfortable trusting other tools to help me do my job. What about you? Have you used Linux to get serious work done? Are you considering making the switch? If you have any questions, I’ll be hanging out in the comments. I switched from Windows 7 Pro to Fedora Design Suite (GNOME Workstation Geared Towards Professional Designers & Photographers) and never looked back! I'm able to get all my Web/Graphic Design Work Done! I don't miss all the user spying from Microsoft, Apple & Adobe at all. With Linux users has 'Real Privacy' and you can do anything to the OS or Programs you want! I am a computer security professional and I use Linux and MacOSX daily. Mac OSX of course on my Macs, and Ubuntu Gnome as the host OS on my PCs. For development/testing, I use a number of operating systems as virtual machines. All of the VMs will run on my PCs as well as the Mac, except for the Mac OSX vms, which will only run on the Mac. Shame on you Apple. My main virtual machines are Ubuntu Gnome, Kali, and Windows Server 2012-R2. For content creators wanting to make the switch to Linux, I recommend Ubuntu Studio. It comes with all of the latest cool content creation apps pre-installed. Even if you're not a content creator, it's a stable, supported Ubuntu distro that won't let you down. It's available as a live-cd so you can boot it up and test it out without forever changing your PC. If you don't like it, remove the disk or flash drive and reboot back into your old OS. And when you burn Ubuntu Studio to a flash drive, it's called, "UBUNTU-STUD" Which I don't have to tell you is good and manly and crazy cool in itself. Ubuntu Studio is one flavor I've never tried. It's good to see that people are getting value out of it. I have been using Linux since '03. ...and once I made the switch? I can never go back to using Windows personally....mind you...I'm in the IT department for my company, and (of course!) they use Windows, so I use it while at work, but I also have a side gig as a part time technical writer, and I do ALL of my work on the Linux machines that I own....from the laptop (Ubuntu 16-04) to the desktop (Fedora 26-Alpha) and for the life of me I cannot figure out why going back to using Windows at work feels so un-natural! as for work, use LIbreOffice Writer, and Calc, I keep track of my assignments by checking my E-Mail in the Thunderbird mail client, and have a nice, smooth jazz playlist that I use while writing with the headphones on to block out the daily noise. I find using Linux a liberating experience, and would imagine if a lot of people could find a job where they wouldn't need Windows in order to get paid. I am grateful to be in a position where I get to choose which operating system and tools I use to get work done. Of course everyone can their Job just using Linux, I'm a professional engineer and my background is water treatment design. For making drawings: Draftsight, Project Management: ProjectLibre or Planner of Calligra, for Calculations: Scilab, for office suit: Libreoffice, Video editor:KDENLIVE. You require a very different set of apps than what I use. That's great to see!